Snapdeal has confirmed that the users receiving this email don’t need to pay any cost and the SIM card will be home delivered and activated without any cost. One prerequisite condition that the e-commerce giant requires is a valid local Aadhar Card. One thing to note is that this offer is currently available in selected locations. To avail this offer the users need to follow this link and register contact details and address of the locality. The registration further allows the users to select the time slot of the delivery of the SIM along with the acknowledgement of a valid local Aadhar Card. After the registration is done, you will get an SMS confirming the registration on the mobile number that you entered in the registration form along with the details of the time slot. 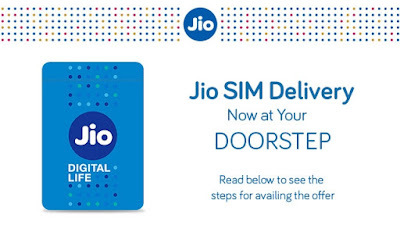 Your Jio Happy New Year Offer will then get activated by the Jio representative instantly, at your home.